NYSE-listed International Flavors & Fragrances Inc. (IFF), one of the world’s largest flavors and fragrances companies, is shelling out $7.1 billion for Israel-headquartered flavor and fragrance company Frutarom Industries Ltd., the company announced in a filing to the Tel Aviv Stock Exchange Monday. The deal is pending regulatory approval, as well as approval from shareholders. Frutarom’s board approved the acquisition unanimously on Sunday. Both companies are among the leading companies in the industry. IFF reported revenues of $3.4 billion in 2017, and Frutarom reported $1.36 billion. The acquisition deal—to be financed by IFF with cash reserves, debt financing and an offering to the sum of $2.2 billion—will be the second largest in Israel’s history, surpassed only by 2017’s $15.3 billion Intel-Mobileye deal. The U.S.-based flavor and fragrance company will pay 67% in cash and 33% in stock for Frutarom, three people familiar with the matter told Calcalist on condition of anonymity. The agreed upon price is a 11.6% premium on Frutarom’s market capitalization on Sunday. In April, Calcalist reported that IFF was one of several entities interested in acquiring Frutarom. IFF already has a presence in Israel, having bought specialty ingredients manufacturer Aromor Flavors and Fragrances Ltd. for $88 million in 2014. In the past two years Frutarom has went on an aggressive acquisition spree, closing 22 deals. Investors responded by sending the company’s stock up 80% over that period. 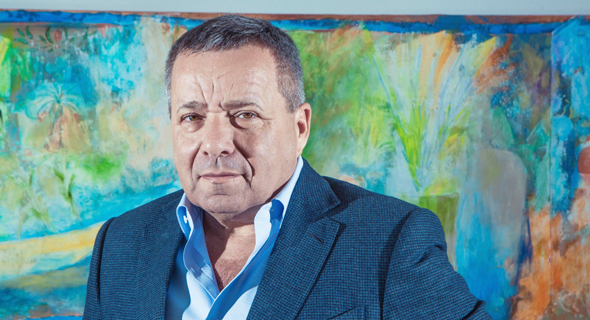 In its latest deal Frutarom paid $21 million for ingredients company I.B.R–Israeli Biotechnology Research Ltd.
Frutarom has considered several proposals from companies in the industry, due to changes the industry is undergoing, Frutarom CEO Ori Yehudai told Calcalist in an interview. According to Monday’s filing, Frutarom’s research and development and manufacturing operations will remain in Israel for at least three years following the closure of the deal, which will see Frutarom become a subsidiary of IFF. For the purpose of the merger, IFF will list on Tel Aviv, and if and when the merger is completed, Frutarom will be delisted. Currently, Frutarom is dually-listed on the Tel Aviv and London Exchanges, and IFF is dually-listed on NYSE and Euronext Paris, France’s securities market. Frutarom will hold a call with investors at 3 p.m. Israel time. Frutarom was represented in the deal by Bank of America Merrill Lynch, the law firm Wachtell, Lipton, Rosen & Katz, and the law firm Naschitz, Brandes, Amir Co. IFF was represented by Morgan Stanley, and by law firms Cleary Gottlieb Steen & Hamilton LLP, and Gornitzky & Co.